We believe in kinship, a concept that is rooted in mutual connection and responsibility for one another. 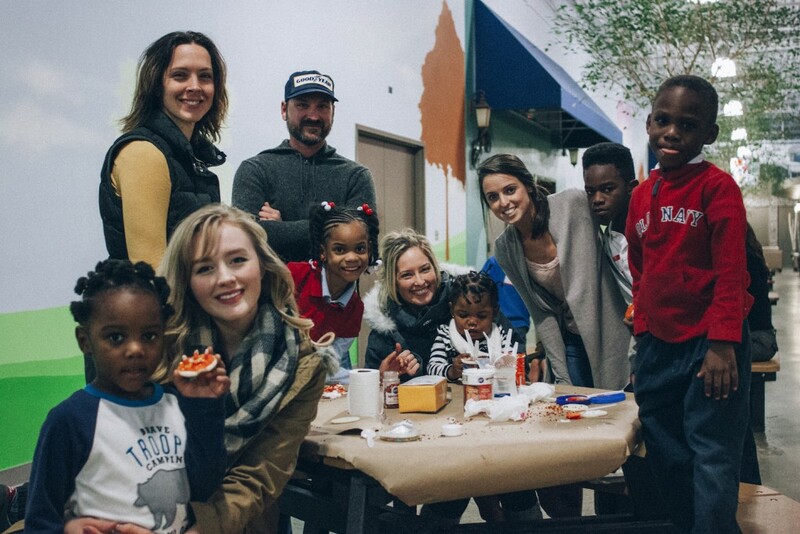 We are committed to being present with the marginalized, restoring dignity within the context of relationship. We promote the fostering of relationships to transcend social and economic divides. We do this because, whether serving or being served, when we choose to be with those at the margins we are all changed in meaningful ways. We have seen from experience that it is in relationship that our physical, emotional, and spiritual needs are met. Founded in 2000, Lazarus is an Atlanta-based 501(c)(3) nonprofit organization that has recently expanded to Washington, D.C. We exist to fulfill our call of kinship and we hope you will join in with us. 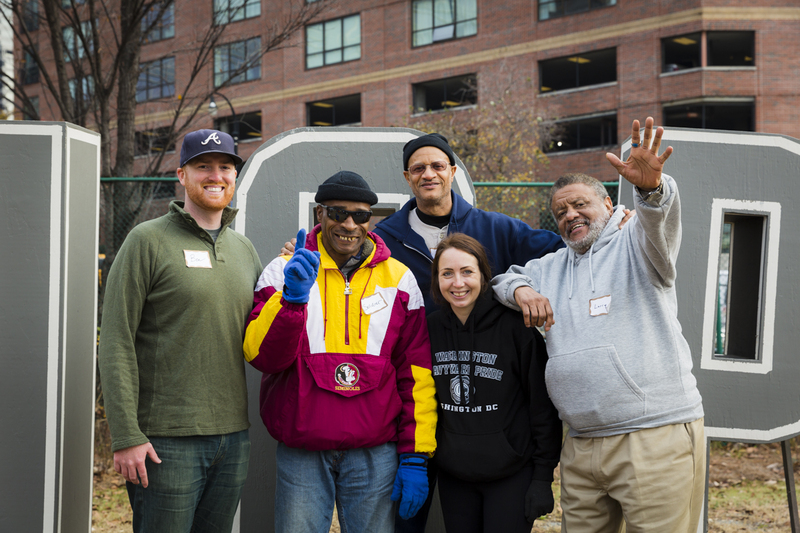 Weekly Teams: Since the year 2000, small groups of Lazarus volunteers have been going to downtown Atlanta to come alongside those who are facing homelessness. Through faithful engagement we have seen some of our chronically homeless friends seek help through long-term programs and services, find permanent housing, and some become regular Lazarus volunteers. Annual Events: Every year, hundreds attend our annual events—Health Day, Christmas Dinner, and Super Bowl Party & Chili Cook-off. These events create space for the wider community to come together. They allow us to connect with a larger population than can be reached through our other programs and activities. Also, they provide an additional and meaningful way for new volunteers to engage with the marginalized through Lazarus. Training & Education: Our training and education program is threefold. 1) We provide training for our volunteers so that they are equipped to engage with the people we serve. 2) We offer classes for the community on how to engage with homeless individuals they may come across on a regular basis in a way that allows for dignity and respect. 3) We partner with other organizations to offer various workshops and classes. For instance, we are at Atlanta Mission in Georgia and Central Union Mission in D.C. monthly for job prep workshops and at City of Refuge weekly for financial literacy classes for women, single mothers, and children. 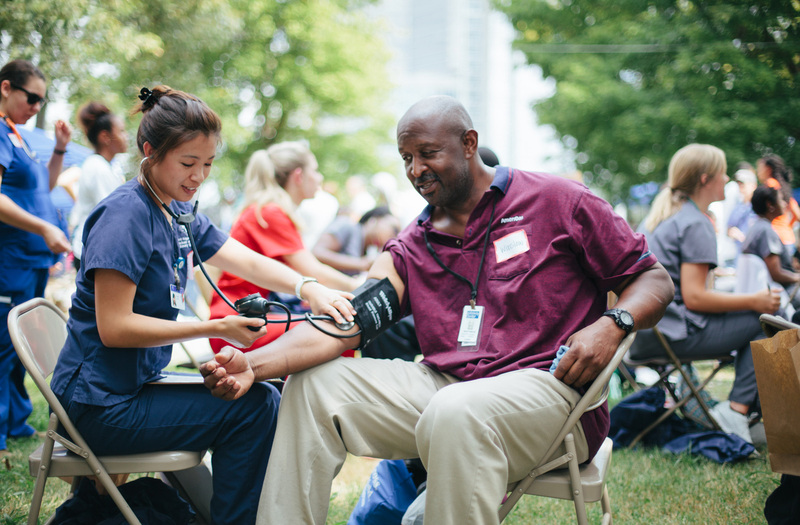 Collaboration: We are able to work in unique ways to serve others because we have purposefully fostered close relationships with some of the best service providers and organizations in both Atlanta and D.C. These partnerships allow us to be more effective at connecting the people we serve to resources that best meet their individual needs. Interested in learning how we started? Read more about our beginning.